This photograph is part of the Cynthia Farah Writers of the Southwest Photograph Collection, 1980-1993 (PICT 986-008-019). Please see the collection finding aid on the Rocky Mountain Online Archive for additional information. 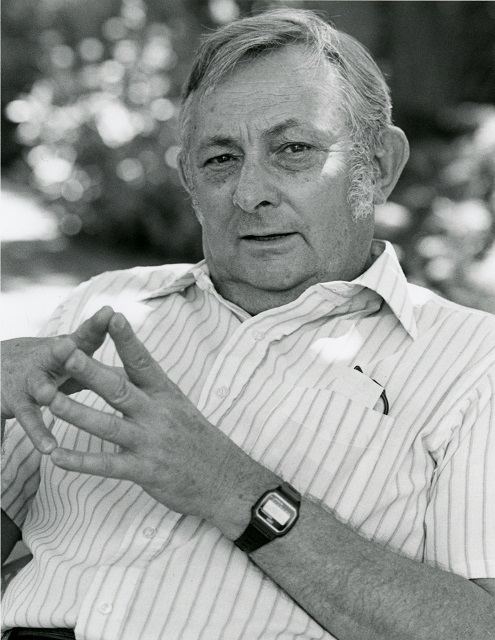 "Photograph of Tony Hillerman," photograph, Cynthia Farah Writers of the Southwest Photograph Collection, 1980-1993 (PICT 986-008-019), Center for Southwest Research, University Libraries, University of New Mexico.